Facebook Inc. and Equifax Inc. would get a year-end reprieve from Federal Trade Commission data security investigations if there’s a partial government shutdown. Not all FTC activity would stop if a spending deal to fund the agency isn’t reached by Dec. 21. The agency said some antitrust and competition matters such as pre-merger notices would continue. But the FTC “will not pursue the vast bulk of its competition and consumer protection investigations and prosecutions” in the event of a shutdown, according to the agency’s shutdown plans. The FTC will rely on its past plans if Congress doesn’t approve a spending package, agency spokeswoman Betsy Lordan told Bloomberg Law in an email. The agency is investigating Facebook’s privacy practices and whether it complied with a 2011 agency consent order to protect consumer information. It is investigating Equifax for its 2017 data breach that exposed the information, including Social Security numbers, of 148 million individuals. Some activity on the Facebook and Equifax investigations may continue because senior aides will be kept on to communicate with company officials. But major activities, such as investigatory hearings or settlement discussions, would be halted, former agency officials told Bloomberg Law. “There is no doubt a shutdown would have a negative impact—in terms of scope and efficiency—on the FTC’s ability to execute its critical dual missions of protecting competition and consumers,” Joshua D. Wright, a professor of law at the George Mason University’s Antonin Scalia Law School and former Republican FTC commissioner in the Barack Obama administration, told Bloomberg Law. Commissioners would still meet during a shutdown and investigations would relaunch in earnest as soon as all agency staffers return to work, Phyllis Marcus, privacy partner at Hunton Andrews Kurth LLP, told Bloomberg Law. Marcus was chief of staff for advertising practices in the FTC’s Bureau of Consumer Protection during the 2013 government shutdown. The FTC’s Premerger Notification Office would stay open if there’s a shutdown, according to the agency’s shutdown plans. 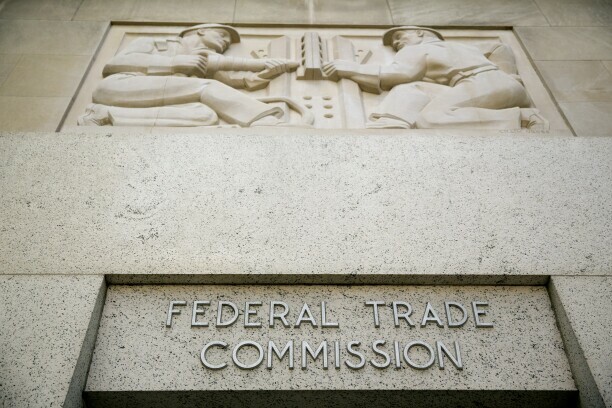 The FTC would still get notices from companies about potential mergers as established under the Hart-Scott-Rodino Act. FTC lawyers, meanwhile, would notify opposing parties and the courts of a shutdown and attempt to negotiate suspensions of dates for hearings and filings, in cases where there’s no immediate risk to life or property. The commission is pursuing an anti-monopoly lawsuit against Qualcomm Inc., which is set to go to trial in early January. A drawn-out government shutdown could push that trial date down the road if the U.S. District Court for the Northern District of California under Judge Lucy Koh decides to postpone it. If a shutdown extends into 2019, and the court doesn’t delay the trial date, “the FTC lawyers in the case might be considered essential government employees, which means they would still have to work,” Seth Bloom, former Democratic staffer for the Senate Judiciary Antitrust Subcommittee and attorney at Bloom Strategic Counsel LLC, told Bloomberg Law.